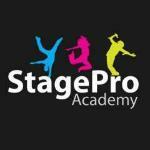 StagePro Academy of Performing Arts in Warrington is a stage school offering performing arts classes, dancing lessons, drama classes and one to one singing lessons. Our Dance classes include Street dance, Breakdance, House, Hip Hop, Jazz, Graded ballet, Open Classes, Contemporary and Tap and more. Classes for children and adults take place in one of the North West's most incredible studios. Now with over 450 students! The services is suitable for Children and adults - all levels and abilities. Free introductory lesson offered too!